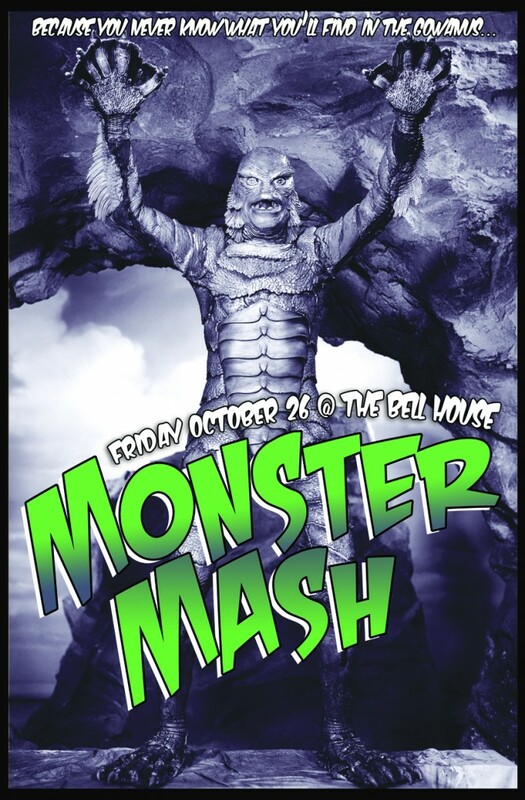 Monster Mash 2012 feat. The Engagements. This is Gowanus, a canal that is home to some of the creepiest, crawliest, and legitimately scariest life forms on earth – from the potentially un-dead to the threat of real-life lagoon creatures, you never know what you may run into around here. The Bell House and Singularity&Co invite you to crawl through the cobwebs of vintage industrial Ghoul-wanus for a costume ball of epic proportions featuring Party Like Its 1999’s Steve Reynolds spinning all of your favorite party jams of days past before, after, and in between live sets from NYC’s premier tribute band The Engagements. Plus spooky drink specials, a Singularity&Co pop-up shop, and more! Costumes are very strongly encouraged, please dress accordingly.